Springfest 2019 is May 2 – May 5! Memorial Day weekend is often identified as the official start of summer, but many people don’t like to wait that long; so each spring, Ocean City welcomes the arrival of warm weather and celebrates the oncoming season with its first of many annual festivals: Springfest. 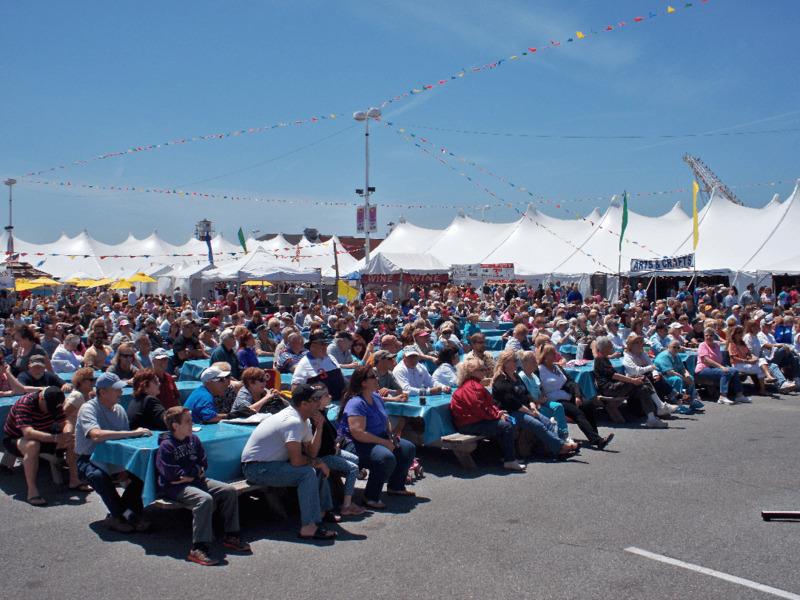 Springfest is a four-day extravaganza that takes place at the south end of the Boardwalk and has become an annual favorite among locals and tourists for its wide array of activities and entertainment. Make your plans to come to town for Springfest 2019. This year’s lineup includes LeeAnn Rimes (5/3), Night Ranger with special guest The Reagan Years (5/4) and Almost Queen, The Ultimate Queen Experience (5/5). See OCOcean for ticket information. Subscribe to our newsletter for up-to-the-minute Ocean City News. Springfest is known for transforming the Inlet parking lot into full-fledged festival facility, complete with big top tents; indoor and outdoor stages, featuring the best local and national recording acts; fresh, local food; homemade arts, crafts, and artisanal products; and endless activities for the whole family. Ocean City celebrates the start of the season each year during the first weekend in May. The event features more than 250 vendors, including 30 food vendors. Check out all the events slated for the Ocean City Springfest weekend and other can’t miss reasons to come to the beach on our events calendar. Reminiscing - Ocean City of Yesteryear.